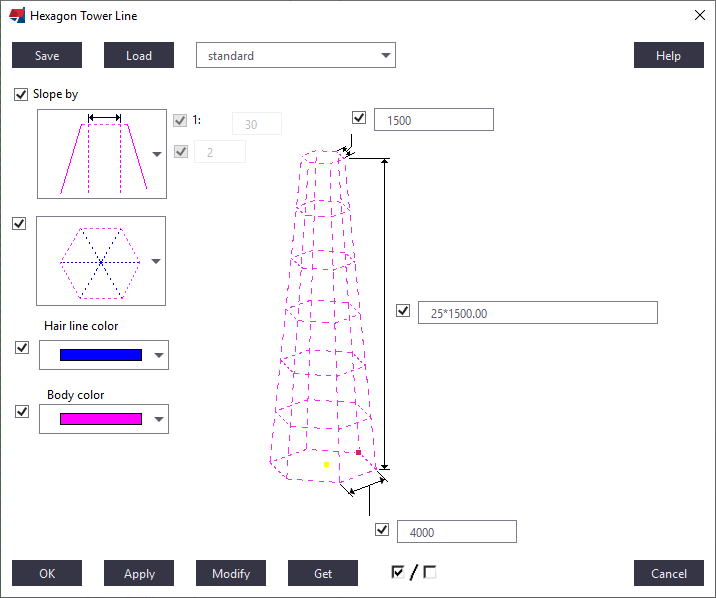 Hexagon Tower Line allows to create a hexagon tower layout which enables you to snap hexagon layout points in 3D very easily. It is made out of construction lines. 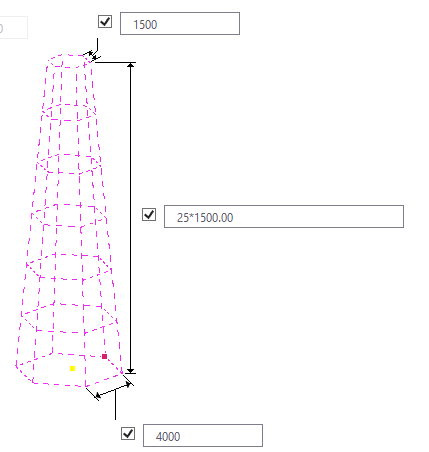 It is useful mainly for chimney supporting structures detailing. Pick two points. 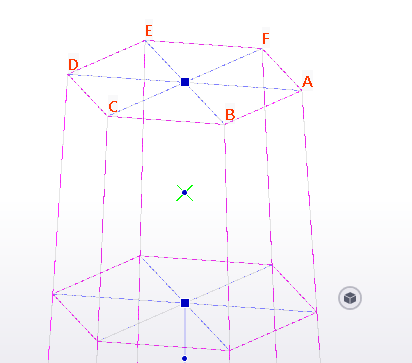 The first point dtermines the insertion point of the bottom hexagon and the second point decide the orientation of entire hexagon tower layout. 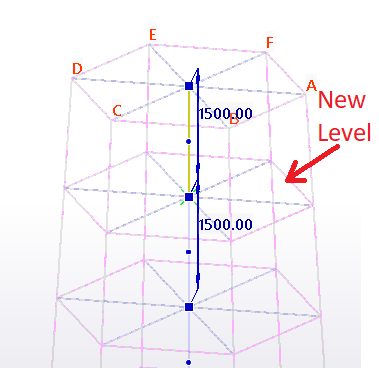 Bottom Edge length, levels should enter in the bottom and middle text boxes. 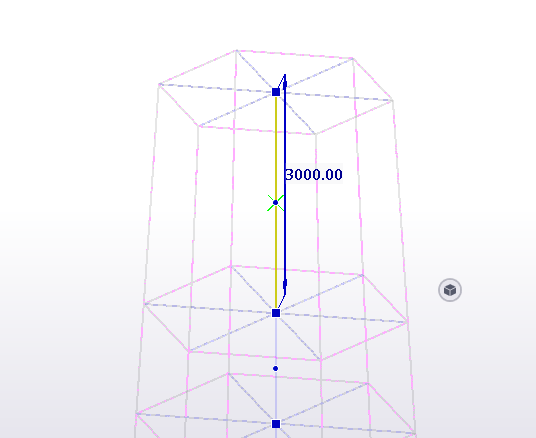 Entering top edge is optional based on the selection in 'slope by' option. 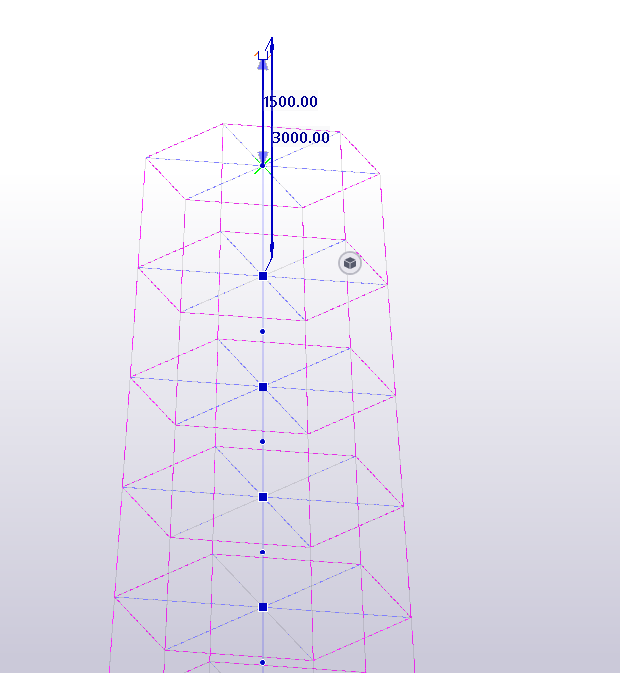 This option decides the the slope of the hexagon tower. 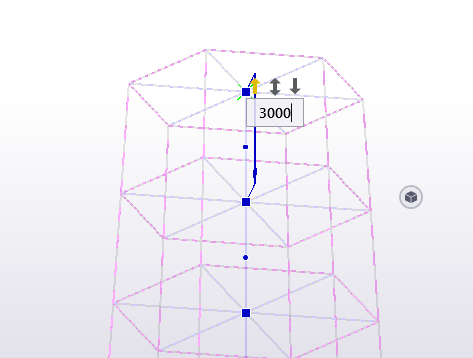 When first option is active, the top edge length text box gets activated, and user may enter value there as shown in the previous picture. 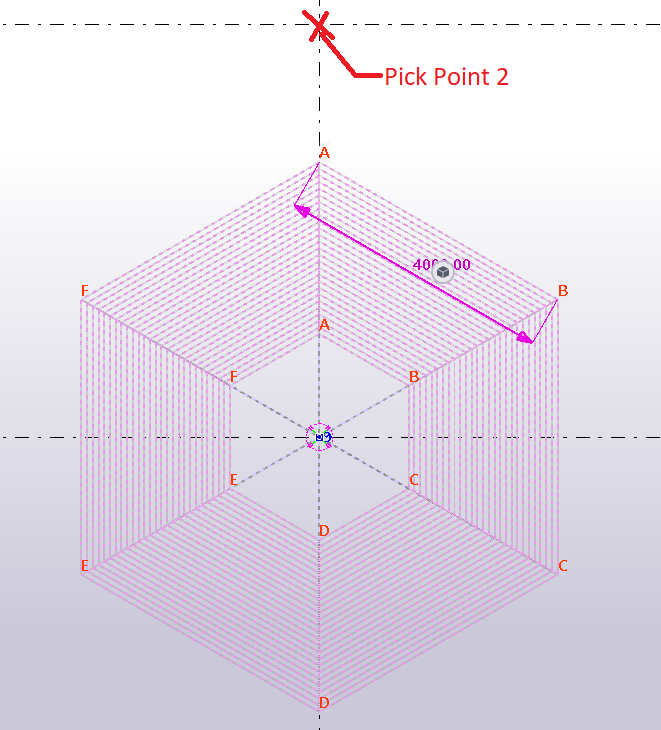 Second option is for inut slope in '1:x' format. 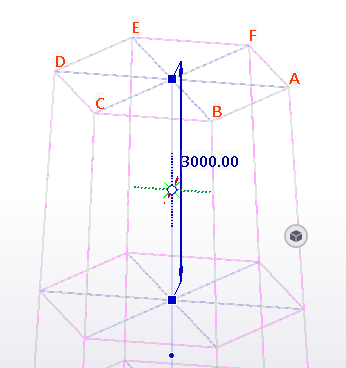 Third option is to provide angle value in degree. Hair line required or not can be set from here. Colors can be selected for hair line and body from here. With out Hair Line & With Hair Line. Direct modification enables additional handles and modification options. 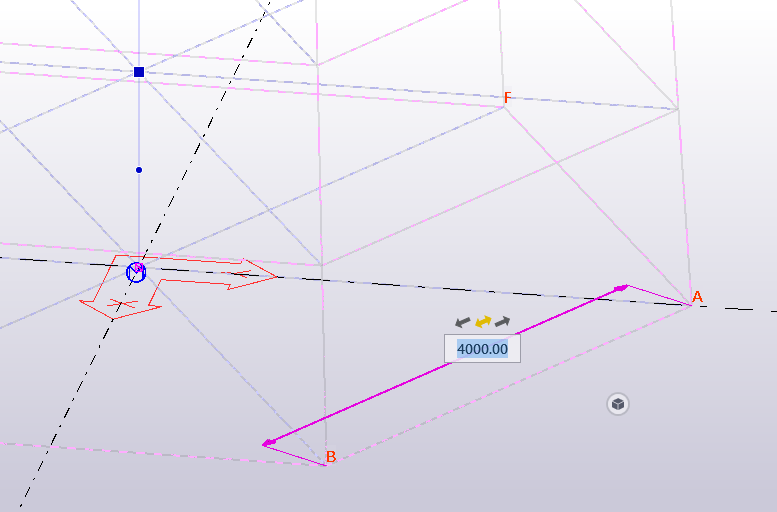 The user can customize the contextual toolbar. 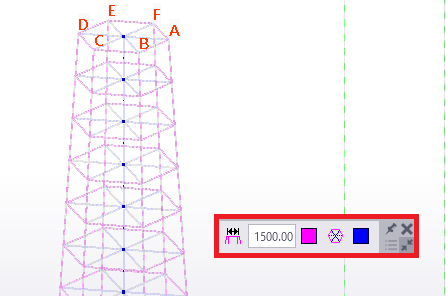 The term mini toolbar is used in Tekla Structures until version 21.1. 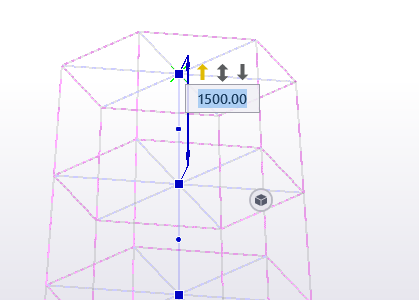 After clicking the cubic button shown above, contextual toolbar gets opened. 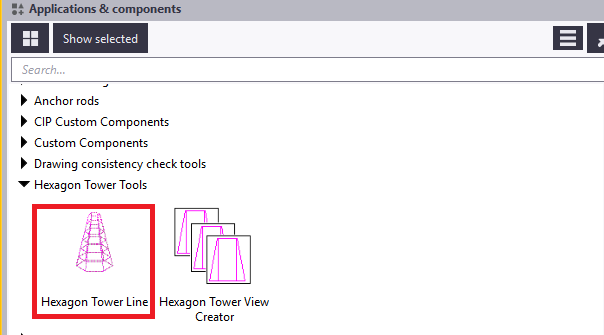 From here many of the extension attributes can be handled with much ease without going to the extension main window. 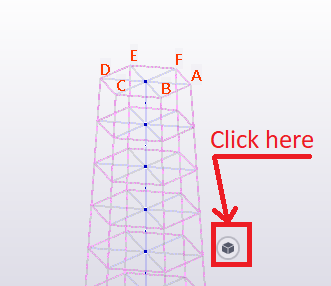 After selecting hexagon tower line component in 'Select Components' height manipulators gets activated. By clicking and dragging the square blue grips, the height of of each level gets updated. Same can be done by editing the dimension as well. Intermediate levels also can be edited in this way. Additional Intermediate levels can be added by picking round blue grip and trying to move towards left or right. 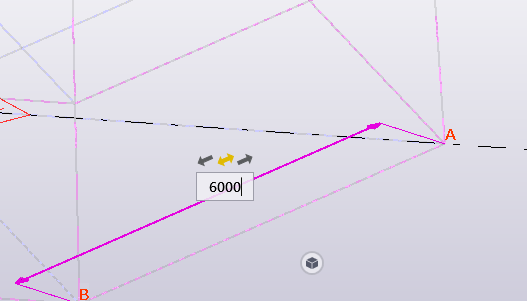 Bottom edge can be directly edited from the model by picking hexagon edge AB in the model and editing the dimension. 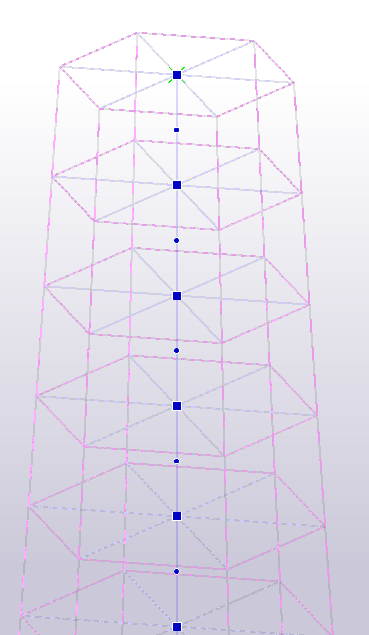 Some other shape than regular tapered hexagon by putting zero value for top edge.